Let's just ignore the C word, shall we, and focus instead on the fact that this week, Lush are launching their biggest, bestest and most exciting, er, seasonal collection yet. And yes, these gorgeous and glitzy new bath and body offerings are ab-fab for gifting but they are also the very thing for indulging in a little me-time: fellow fans will know the indulgent joy of picking out a new Lush lovely to lather up with for some good clean bathtime fun. Newbies this year include the delicious bombardino, €3.25, which smells like, wait for it... LEMON CHEESECAKE! Can you order these by the barrel? 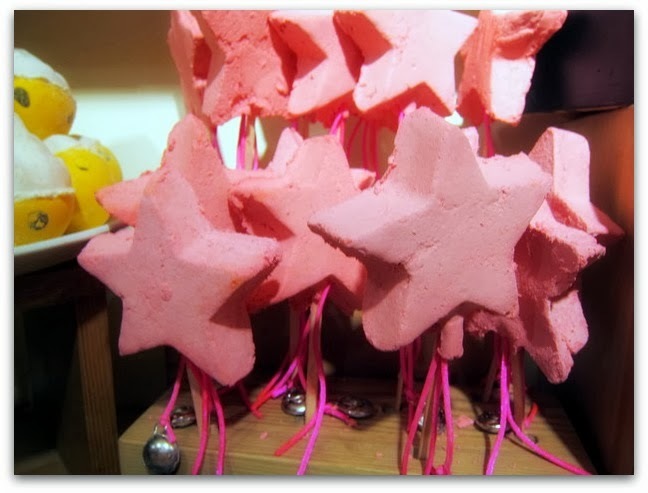 Star Light Star Bright bath melt, €4.50 (top photo), also sounds right up my alley, packed as it is with ginger and lime oil, and some of my old favourites are back again, including the Magic Wand reusable bubble bars, €6.50, Father Christmas bath ballistics, €4.25 and Golden Wonder bath bombs, €4.50. Many of Lush's most popular products are seasonal edits so snap up your favourites while you can. Snow Fairy fans in particular will be in candy floss heaven with a range of new products including a sparkle bar, €6.50, and candy mountain bubble bars, €3.45. As a fan of the brilliant Rose Jam bubbleroon I was happy to see this gentle, elegant fragrance return in shower gel form along with the return of Ponche; these are all priced from €4.50 for 100g. The gifts sets this year are more brilliantly packaged than ever before, inspired by Ziggy Stardust, vintage fireworks and the work of UK textiles designer, William Morris. They range from €10.50 up to €169.95 for the appropriately named WOW, jammed with pretty much all of this year's seasonal specials. 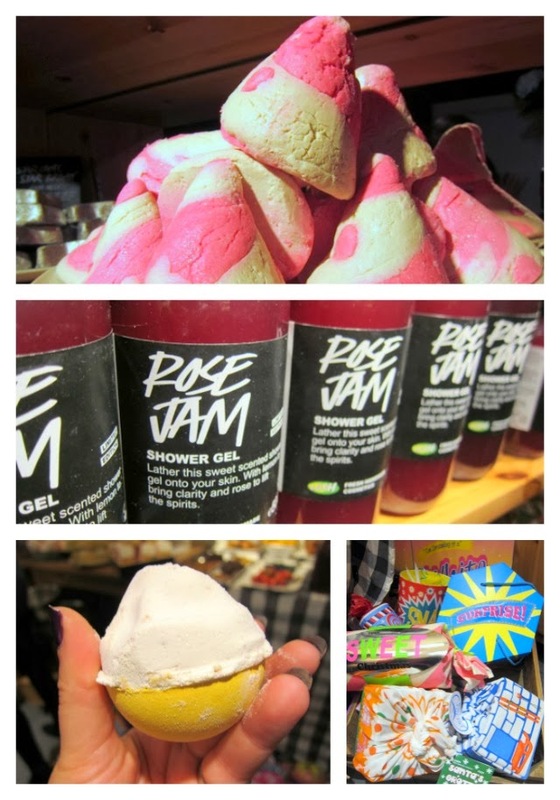 Are you a Lush lover, and will you be popping in to see what's what? YES!!! Snow Fairy shower gel is back, my OH will be *delighted*. 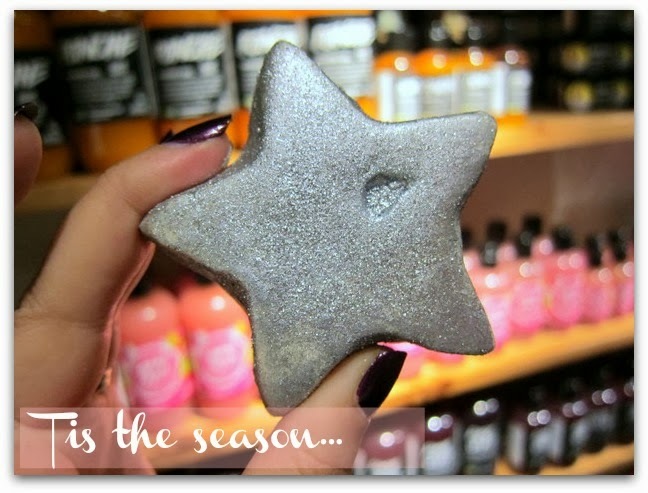 Ooh what a treat, I love lush especially the c...no seasonal collection, ha. I cannot wait to try these. I will be hitting up the Lush store this weekend! they look simply so beautiful! Wow, what a gorgeous, gorgeous collection! It has definitely given me ideas! Beautiful photos! LUSH always has great products ! I always love LUSH products, I've just ordered from them a few weeks ago, but I will surely be checking out the new holiday items in the future..
My friend gave me a box of Christmas goodies from them last year and I loved it! Oh God, don't even get me started. I love xmas shopping and Lush is so great! As if I wasn't addicted to lush enough, now the christmas collection is back. 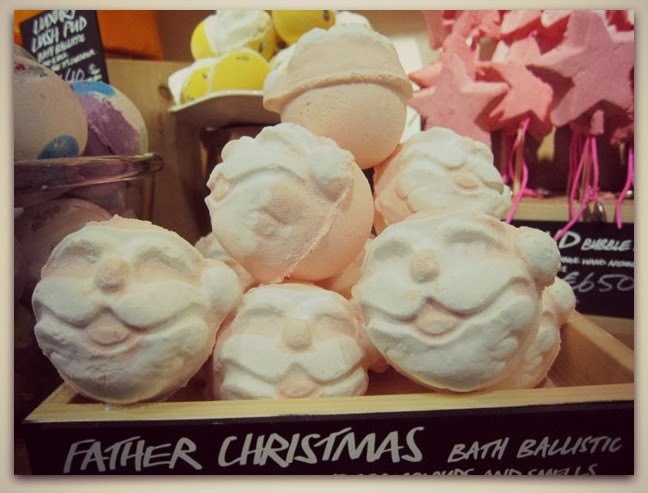 I can't wait to go lush Christmas shopping and get my hands on a new Magic Wand reusable bubble bar... or five! This is a great article and I usually start my holiday shopping in the summer so its nice when new things like this hit the stores early. I always try to find unique stuff like custom baskets or jewelry but they do not sell them in stores. And if they do they usually are expensive. These sorts of stuff are great gifts because they usually do not cost much. The holidays can be tough because a lot of products these days cost a lot of money and some families can not afford it. I was once in a little bit of debt and needed money quickly to help with the holidays. I was told a good option may be to sell my annuity payment. This choice can also help during other money situations.